Detection, identification, and classification of yeasts have undergone major changes since application of gene sequence analyses and genome comparisons. Development of a database of barcodes consisting of easily determined DNA sequences from domains 1 and 2 (D1/D2) of the nuclear large subunit rRNA gene and from ITS now permits many laboratories to identify species quickly and accurately, thus replacing the laborious and often inaccurate phenotypic tests previously used. Phylogenetic analysis of gene sequences is leading to a major revision of yeast systematics that will result in redefinition of nearly all genera. 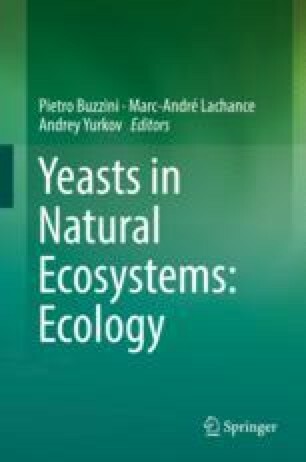 This new understanding of species relationships has prompted a change of rules for naming and classifying yeasts and other fungi, and these new rules were recently implemented in the International Code of Nomenclature for algae, fungi, and plants (Melbourne Code). The use of molecular methods for species identification and the impact of Code changes on classification will be discussed. We thank Robert Riley for providing Fig. 1.1 and Antonis Rokas and Chris Hittinger for Fig. 1.3. Figure 1.3 is based upon work supported by National Science Foundation Grant No. DEB-1442148. The mention of trade names or commercial products in this publication is solely for the purpose of providing specific information and does not imply recommendation or endorsement by the US Department of Agriculture. The USDA is an equal opportunity provider and employer.